Five ways to spend a day in San Antonio, Texas, without spending a thing. At street level San Antonio looks like any other American city. One story lower, the River Walk transforms five miles of downtown into canals and bridges befitting the best of Amsterdam and Venice. 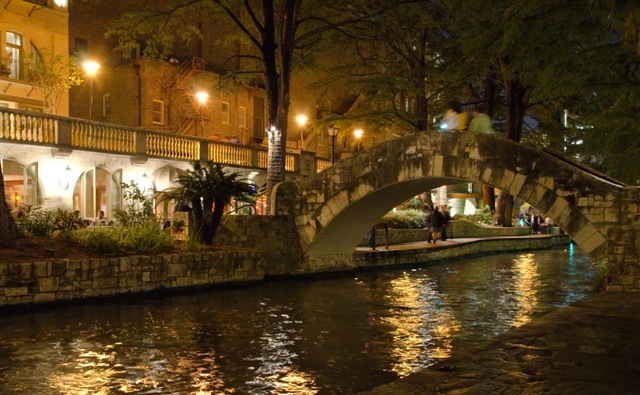 The Paseo del Rio (walk of the river, in Spanish) is a public park lined with bars, restaurants, hotels and even an outdoor theater. There is no shortage of things to do, day and night, 365 days per year. Just walking and taking in the atmosphere is wonderful, though, and free. On select nights several San Antonio museums waive admission. Visit the McNay Art Museum on Thursday nights and the San Antonio Art or Witte Museums on Tuesday nights, completely gratis. 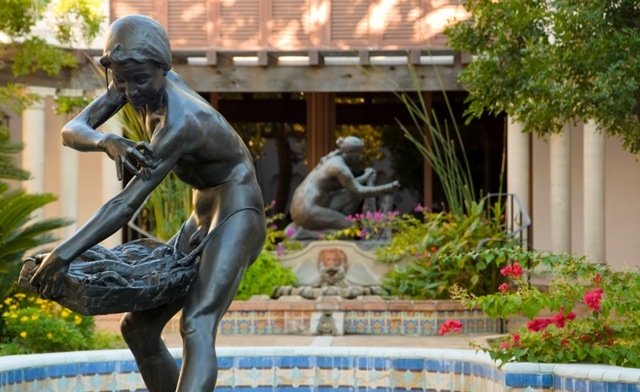 We particularly enjoyed the McNay, which is set in a 1920s mansion. What the collection lacks in size, it more than makes up for in quality. Nearly every piece is by a Master: van Gogh, Rodin, Matisse, Picasso, Monet and others crowd the mansion’s walls and garden. We even found works by our newly discovered favorite, Georgia O’Keeffe. It’s a fabulous little museum, made even better by the affordable price of zero dollars every Thursday night. 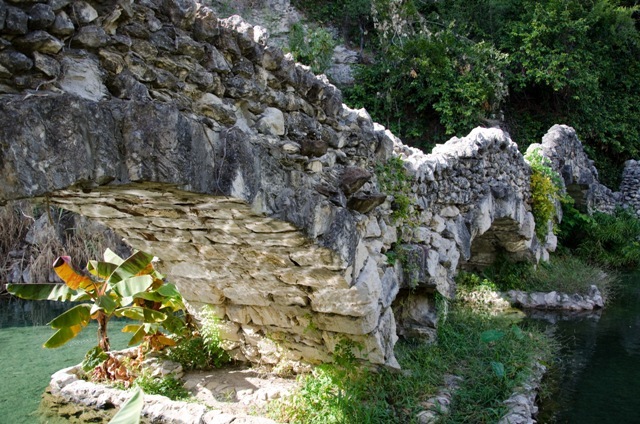 Take in the tranquil waterfalls, stone bridges and Koi pond at the Japanese Tea Garden in San Antonio’s Brackenridge Park. Don’t let the sign on the Torli entrance gate fool you, as it did us. 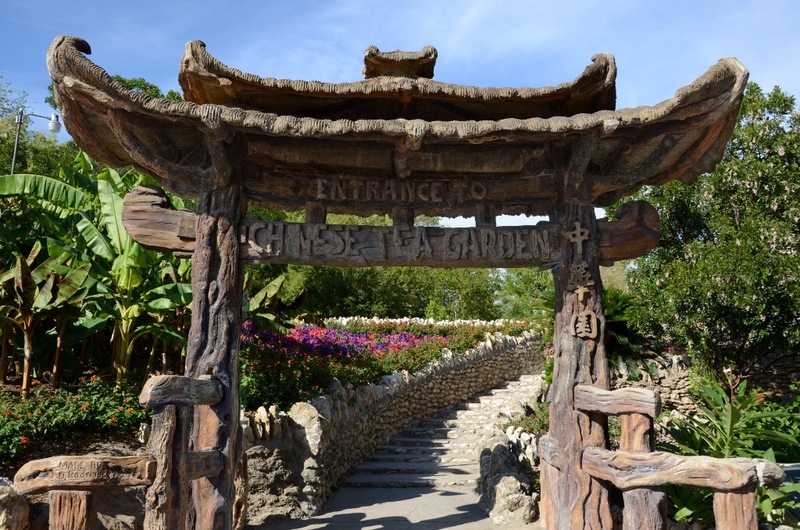 It’s not a “Chinese Tea Garden” and you’re not in the wrong place. The signage was changed and the Japanese-American caretakers were evicted as part of the anti-Japanese sentiment that arose during World War II. The wonderful park still bears the scars of that ugliness, serving as a useful reminder. 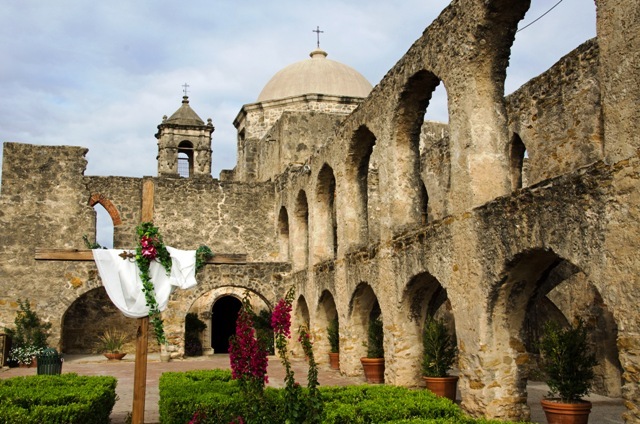 Dubbed the “Queen of the Missions,” San José is the largest and best preserved of the four Spanish frontier missions maintained by San Antonio Missions National Historic Park. Walking through the sprawling compound, it is easy to envision the 300+ people who went there for community, protection and spiritual guidance several centuries earlier. All within an easy drive, the four missions can be fully explored in a single afternoon. Or, for a full day of fun, the recently opened Mission Reach Bike Trail follows the San Antonio River as it passes each of the missions. 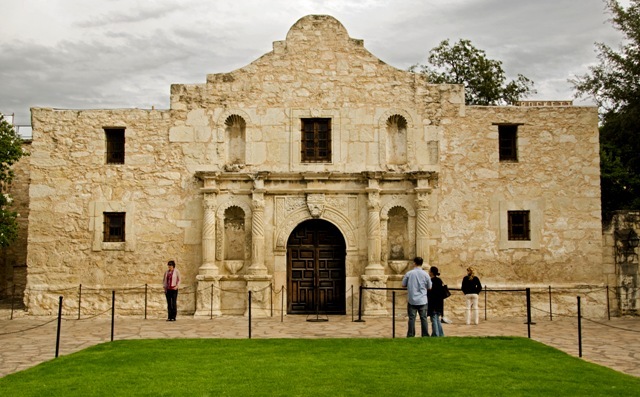 Technically it is just another San Antonio mission, but the Alamo stands alone in Texas history and legend. Visit the site where Davie Crocket and roughly 200 other brave men fought an overwhelming garrison of 1,500 Mexican soldiers. Nearly all the defenders perished that day, but their courage and the brutality of the invading Mexican army became a rallying cry for retribution and revenge. Swelled with new recruits, the Texian Army went on to win the Texas Revolution just one month later. When I was in college studying urban planning in the early 70s the River Walk was one of the concepts (that and Mall of America) of major projects that we discussed. I got to visit both and think while the Mall of America was fun, the River Walk is amazing as a way to revitalize an area of a city! I love the pictures, but especially love the freebies! Wow. I’d never really heard much about San Antonio, TX before, but seeing these pics it looks like a place that I’d love to visit! I was just in San Antonio and am sad that I missed the Japanese Tea Garden. It looks beautiful. a pleasant experience; the Alamo, too, if it isn’t too crowded. I had SO much fun in San Antonio with my sisters last month … and LOVED all the things you suggested. The missions were incredible and the Japanese Tea Garden simply out of this world. What a joy to re-see these things! (nice photos, too!) here’s the link to my weekend there:http://whatgives365.wordpress.com/2011/12/10/ !! Happy trails & amazing facts about the USS Lexington!